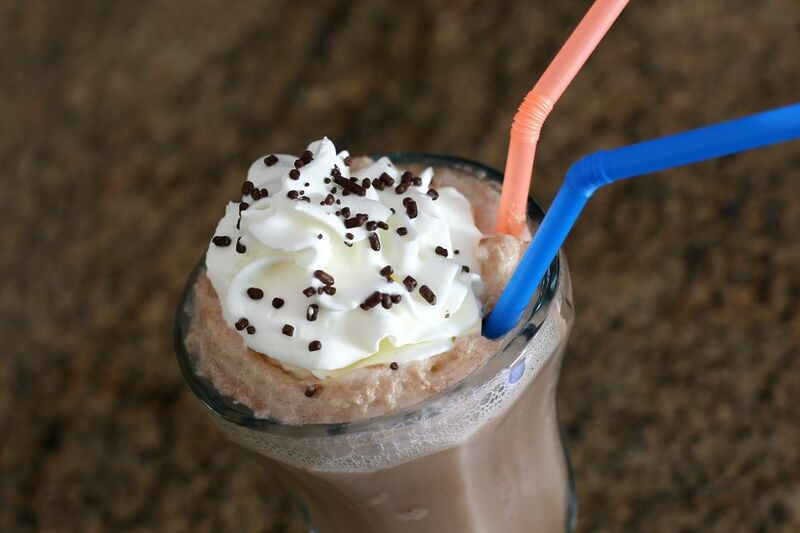 This is an old-fashioned ice cream soda, a fabulous summertime treat. Use club soda, seltzer water, or carbonated water in the delicious soda. Use vanilla ice cream instead of the chocolate if you prefer. The recipe makes 2 servings, but it is easily halved or doubled. Divide the milk between two tall 16-ounce glasses. Add 3 tablespoons of chocolate syrup to each glass. Stir to blend thoroughly. Add 2 scoops of ice cream to each glass and fill with club soda or carbonated water about three-quarters of the way up the glass. Top with whipped cream and cherry or chocolate shavings, if desired.